Alfalfa-mazing contains all the key nutrients and vitamins needed for your horse or pony to thrive. Containing exceptional levels of calcium Alfalfa-mazing is the perfect feed for the growth and maintenance of bone strength. Its high protein level promotes muscle growth and repair coupled with Alfalfa-mazing’s superior fibre content this helps maintain all-round health and fitness for your horse or pony. 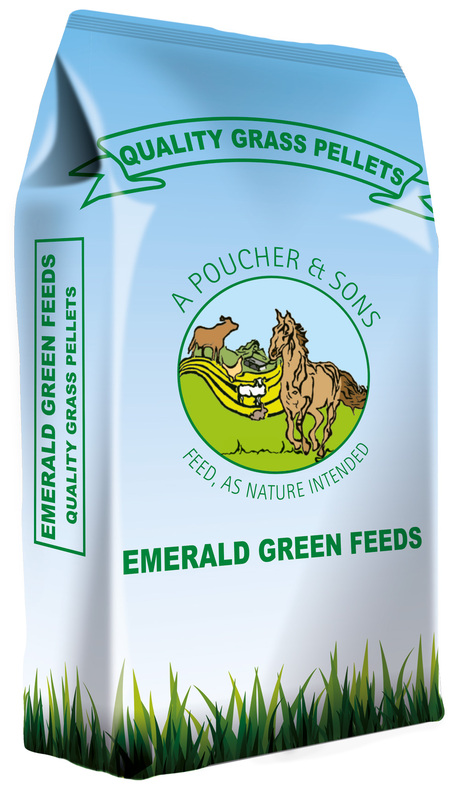 Emerald Green Feeds Grass Pellets are a natural high value feed, the harvesting and drying processes enable to the naturally occurring vitamins and minerals, essential to your horses’ health and general condition, to be locked in. Feeding Grass Pellets means that your horse is able to benefit from fresh grass all year round. 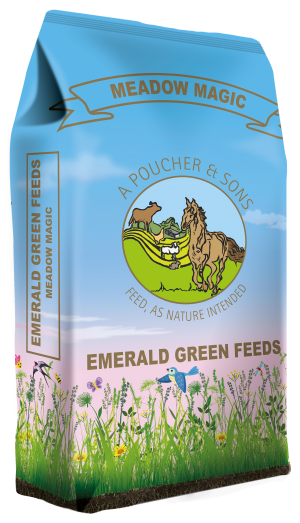 Emerald Green Feeds Meadow Magic Pellets are a high fibre, low sugar and starch feed aimed primarily (but not exclusively) at those horses and pony’s which have any of the following traits or conditions: Good doer, laminitis, Cushing’s disease, stomach ulcers and obesity. Meadow Magic is 100% Alfalfa free, which makes it an excellent alternative for those horses which can have an adverse reaction to, or dislike of Alfalfa, but require a very high fibre and low sugar/starch feed. The pellets are made from meadow grasses solely grown for producing this feed, which are cut at a similar growth stage to that of hay to achieve the desired nutritional qualities. Alfalfa Pellets are ideal for both young and old horses, they are very palatable, high in fibre and low in sugar and starch, this combination results in a steady release of digestible energy. Alfalfa is well documented as being ideal for horses prone to laminitis as well as those that suffer with stomach ulcers. 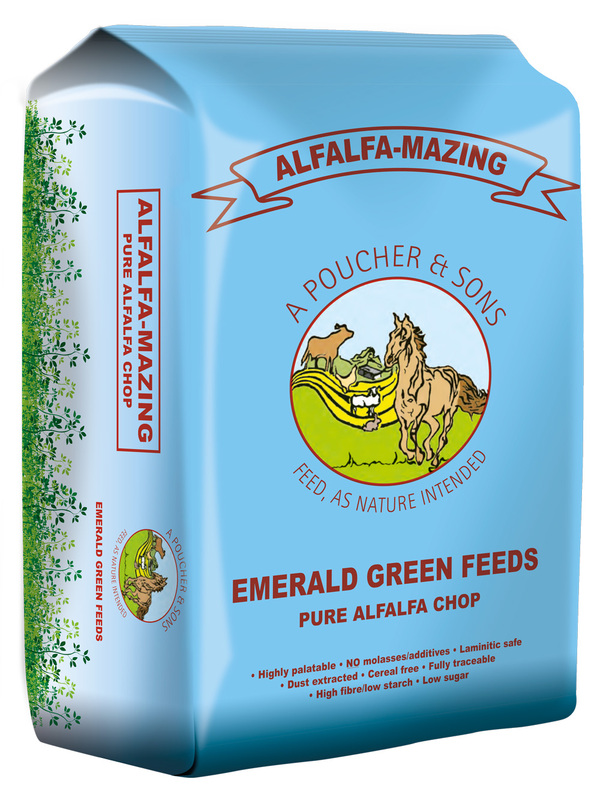 Highly nutritious, palatable chop made from the best quality fescue grass. 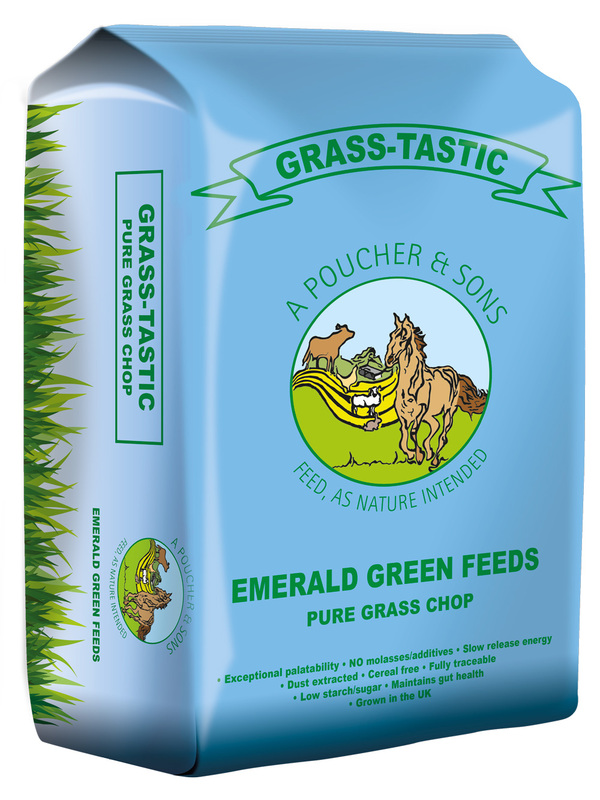 Grass-tastic is an excellent feed for helping to build condition as well as helping toward maintaining a healthy gut, improved coat shine and general well-being. Grass-tastic contains no other ingredients, just 100% grass.